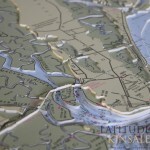 St. Simons Island is one of the largest of Georgia’s renowned Golden Isles. 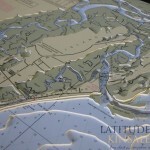 Since the early 20th century it has been developed as a resort community. 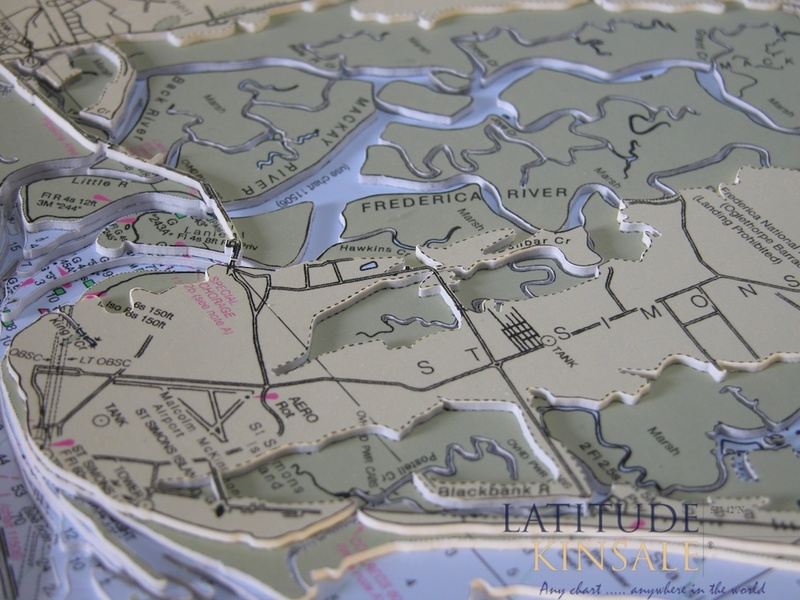 It has an unspoiled beauty and a beach lifestyle that is both charming and unhurried. 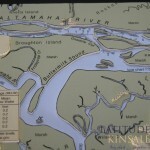 Much of the island remains marsh or woodland. 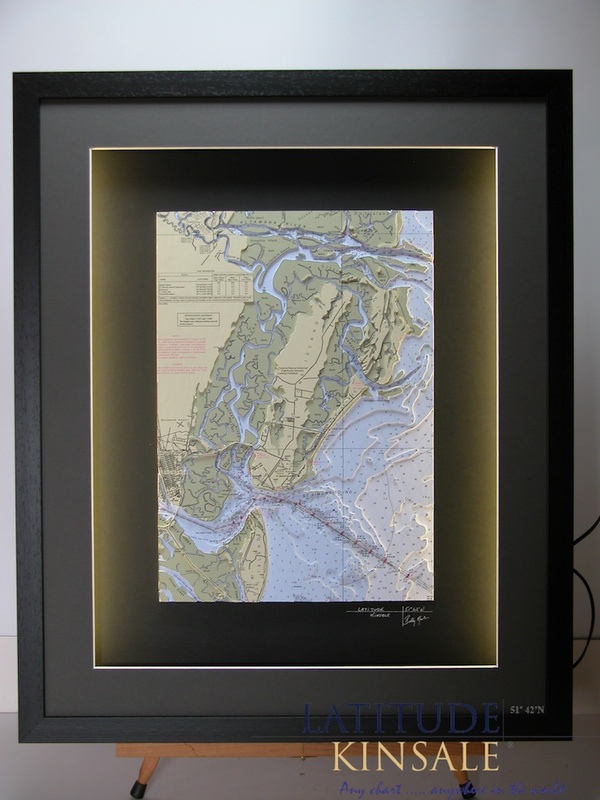 This chart features St Simons Island as its main focus, with its surrounding waterways and Georgia to the west. 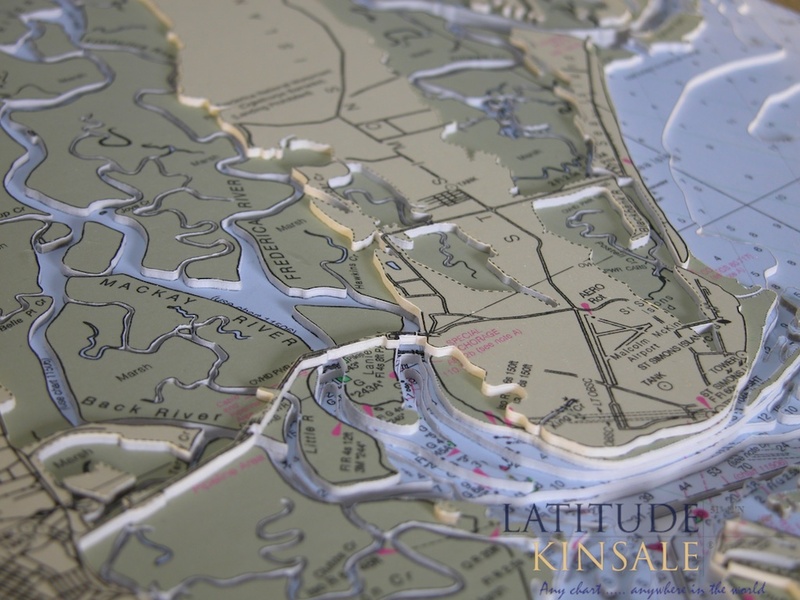 To the south, Jekyll Island and its state park are also included. 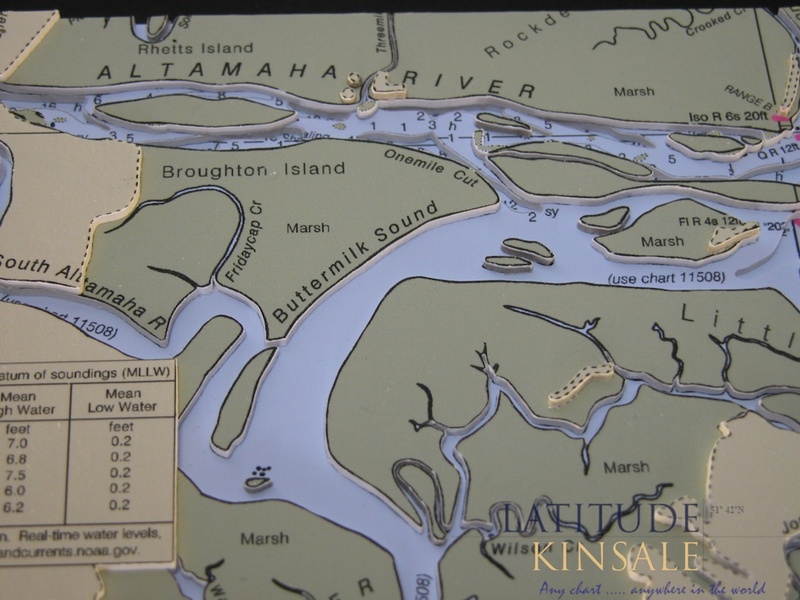 To the west, Little St Simons Island can be seen. 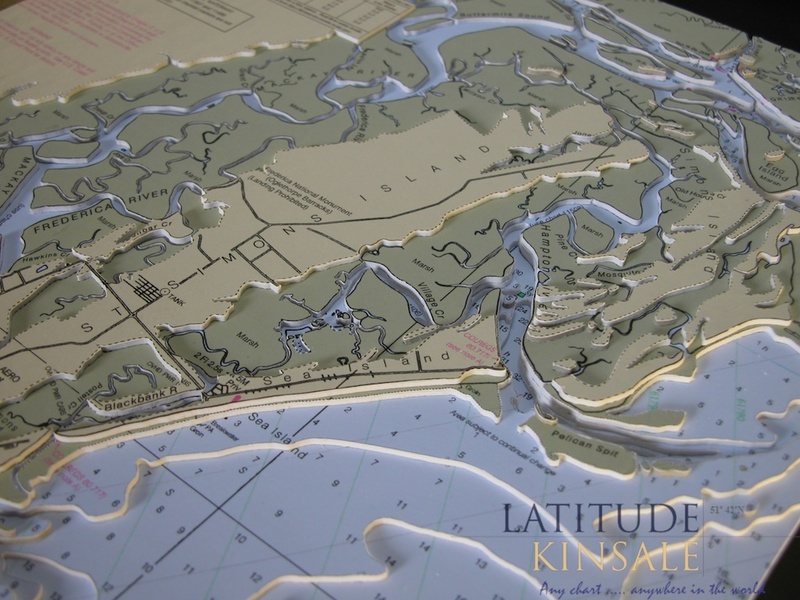 Detailed cutting mark the routes of the Frederica, Altamaha and Mackay Rivers. 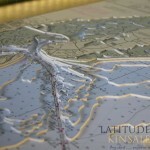 7 layers of 3D relief work, combined with surround lighting draws the eye from the bottom right, across the chart and culminating at the high point of Georgia’s mainland. 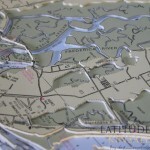 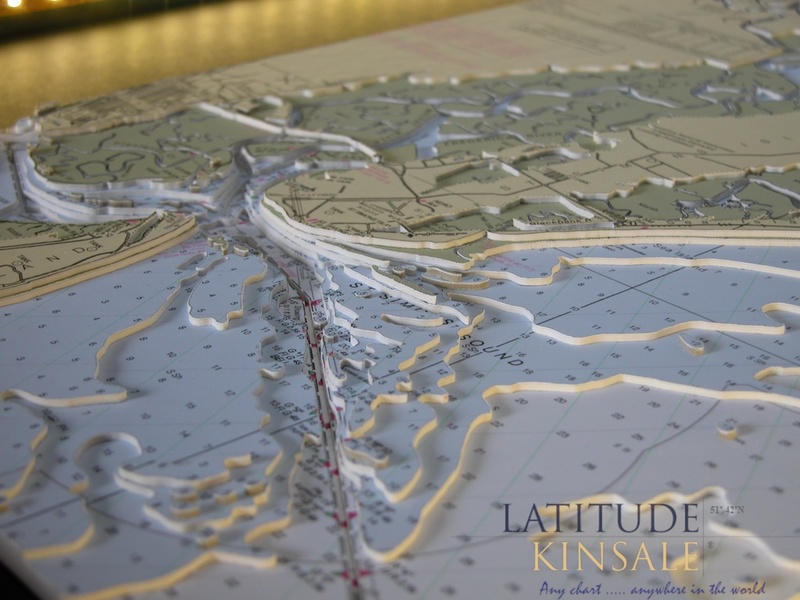 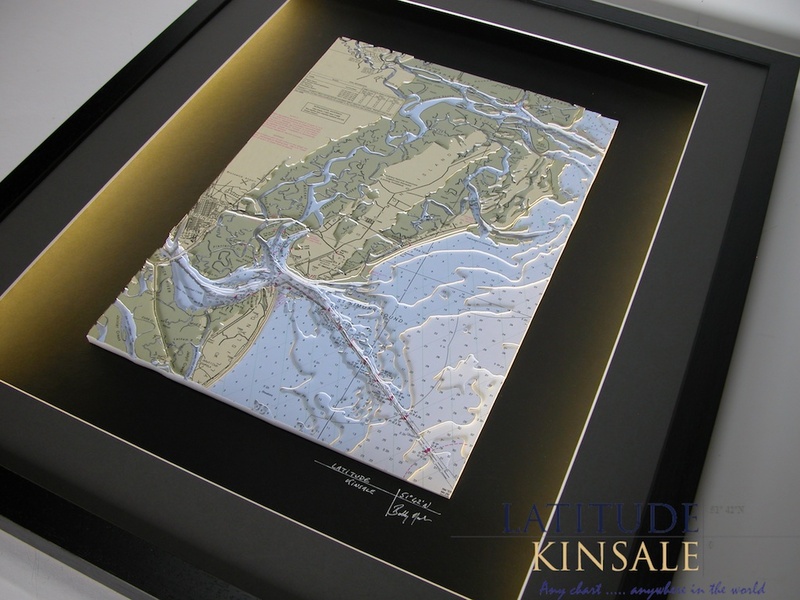 Latitude Kinsale takes great care to coordinate the colour-way of each chart with complementary mount and frame. 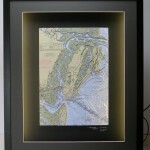 In this case, a green/charcoal mount combination is perfectly chosen and it is finished with a black frame. 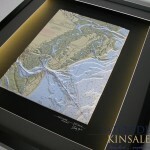 The result is most-impressive.